Choosing to keep a Betta fish is a responsibility you ought to take seriously. Having a list of supplies in mind before you even get started is a smart way to ensure you are making the right decisions from the beginning of your Betta's life. Bringing an animal into your home means you are responsible for its health and wellbeing, and many beginning Betta keepers don't take the time to properly learn about their new pet. Unfortunately, you know what that ultimately means for Betta. 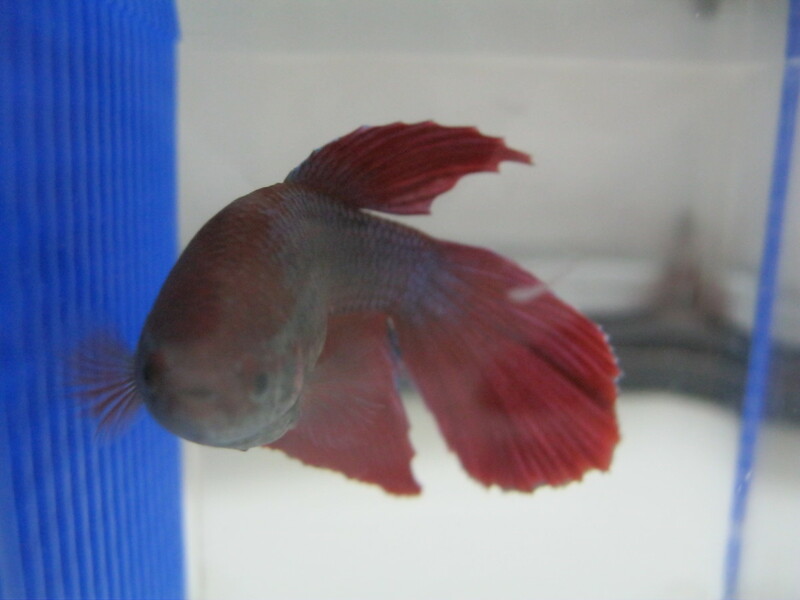 The silly thing is that simply by putting in an hour or so of reading many newbie Betta owners could have prevented their new pet from going belly-up. So, since you are here reading this it means you are already moving in the right direction when it comes to caring for your Betta correctly. Good for you! In this article you'll learn about the supplies you need to maintain your Betta fish. 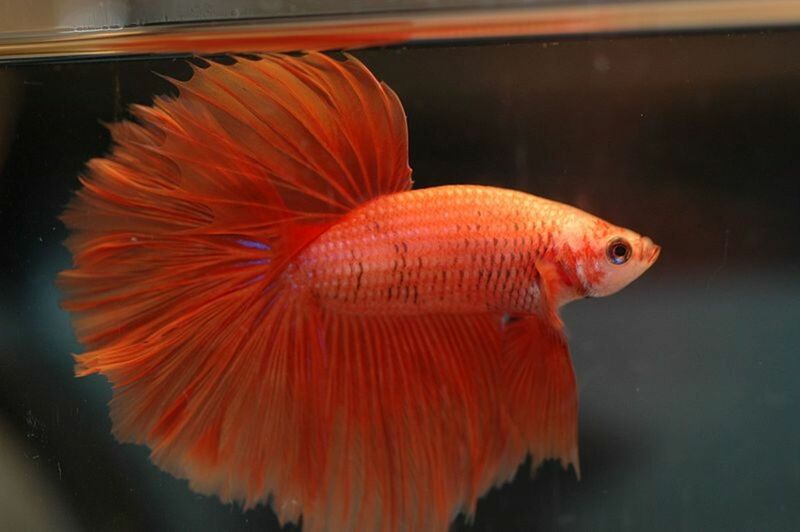 Hopefully you are reading this before you even purchase your Betta, so you can keep him in an appropriate home from the beginning. If not, hopefully you can correct some of the bad choices you made. Hey, this is supposed to be fun, and I guarantee you'll have a lot more fun with your Betta fish if you take the time to learn what he needs to be happy and healthy. The first thing you need to consider is the type of tank for your Betta. You might be thinking of a bowl, but I hope you reconsider. Keeping your Betta in a bowl is a bad idea. For one thing, bowls are generally too small for Betta fish. If you've heard that Betta prefer small containers you need to understand that this is a marketing idea, not anything with the best interests of the fish in mind. Bettas need room to swim around, just any other kind of fish. The other problem is that bowls are very hard to regulate as far as water conditions and temperature. Waste builds up quickly, and even though Betta can survive in poor water conditions that doesn't mean it is healthy for them. 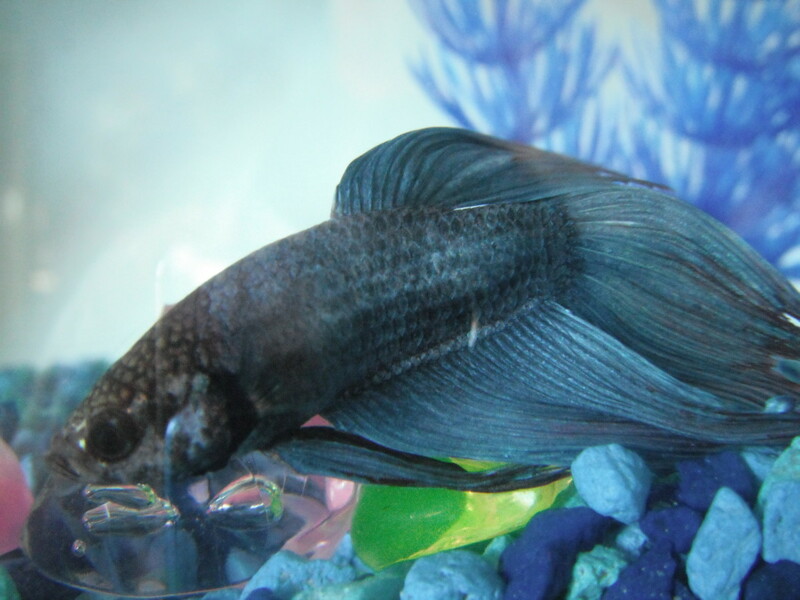 Bad water means potential disease, and a Betta who croaks before his time. A tank with a filter greatly improves this issue, and will be easier to take care of. Betta are tropical fish, so keeping them in an unheated bowl means they are subject to low temperatures which can cause stress and ultimately illness and death. I recommend a minimum of a 5-gallon tank for your Betta fish. This will allow you to employ a filter and heater, and will give your Betta fish plenty of room to swim around. In fact, there are fish tank kits that have everything you need in one package, so you don't have to hunt around for individual items. Better still, think about a 10-gallon tank if you have the space. It may seem counter-intuitive, but a larger tank is actually easier to take care of, and you can spend less time on maintenance every week. You're also going to want to make sure your tank has a secure hood, as Betta fish can jump. A glass or acrylic fish tank with hood, at least 5 gallons or larger. Learn how to choose the right Betta fish tank and which aquarium size and style will best meet your Betta's needs. What kind of substrate should you consider for your Betta's tank? Some people like to use glass marbles or large pebbles because they look pretty, but be aware that there can be issues with larger pieces. Food and waste can fall between marbles and pebbles where you won't be able to reach it. If you are doing full water changes weekly that may be okay, but otherwise this will be bad for water conditions. Instead, if you are using a tank 5-gallons or bigger, I'd suggest standard-sized aquarium gravel. You can still choose from a vast array of pretty colors and textures, but it will be too small for food to get through, and you can vacuum up anything that falls to the tank floor. Speaking of vacuuming, it's a good idea to purchase a small gravel vacuum for cleaning your Betta's tank. I've always used Aqueon siphons. The bigger models hook right up to your faucet to make water changes a breeze, but you don't need something like that here. I've found the Aqueon Mini Siphon works better for small tanks, and stores away much more easily. This is one of those things that will make maintenance task less stressful, and greatly improve tank health. You have to do water changes anyway, and these gravel vacs work so that you're cleaning the gravel while you are removing the water. The rule of thumb is a pound of gravel per gallon, which makes sense for large tanks. In a tank as small as 5-gallons I'd suggest letting your eye be the judge. Add gravel until it looks good, as long as it is adequately covering the tank floor to a depth of at least an inch or so. Standard aquarium gravel for a 5-gallon tank or bigger. Marbles or stones for smaller tanks (you'll need to perform weekly water changes). Does your Betta need a heater or filter in his tank? Probably! Betta are tropical fish, and just like any other tropical fish they need clean, warm water. This is another big reason it is so important to choose a large enough tank for you Betta. Heater and filter options for small tanks are harder to come by, and many are unreliable or even dangerous. Choose a tank of at least 5 gallons so you can find a good nano filter and heater to match. Betta need temperatures between 75 and 80 degrees, just like any other tropical fish. The exception to needing a heater comes when you can be sure the room temperature where you Betta is kept will always be around 75 degrees. This is true in many climates during the summer months, but if the temperature dips at night remember that the water temperature will dip as well. Find out if you should add a filter and heater to your Betta fish's tank. Learn the true needs of this beautiful tropical fish. Now that you've got your tank and gravel lined up, you need to think about what kind of decorations you're going to choose. There are a few things to consider here in regard to the health of your Betta, but otherwise let your imagination run wild. It should go without saying that you should only use decorations that are made specifically for use in a fish tank. You can't just throw anything in there. Secondly, Betta like to have hiding places in their tanks. Any decoration your Betta can easily swim into is fine. This helps with stress and gives your Betta a way to escape if light levels or other environmental factors in the room are too much for him. Betta also like to have places to rest. If you see your Betta fish lying on a plant leaf rest assured this is normal. Any fish would prefer live plants, but plastic plants serve just as well for an afternoon siesta. Finally, make sure you don't overstuff the tank with decorations. This is one good reason a 5-gallon tank is a great size for a Betta fish, and 10-gallons is even better. Your Betta needs room to swim around. Otherwise, go nuts! You may choose to use live plants and driftwood to create a natural environment, or artificial plants and driftwood to create a simulated natural environment. Or, you may wish to pack your Betta's tank with cartoon characters. The appearance of the tank is for your enjoyment. As long as your choices meet his needs, Betta doesn't care what you put in there. Betta gotta eat, so what should you feed him? 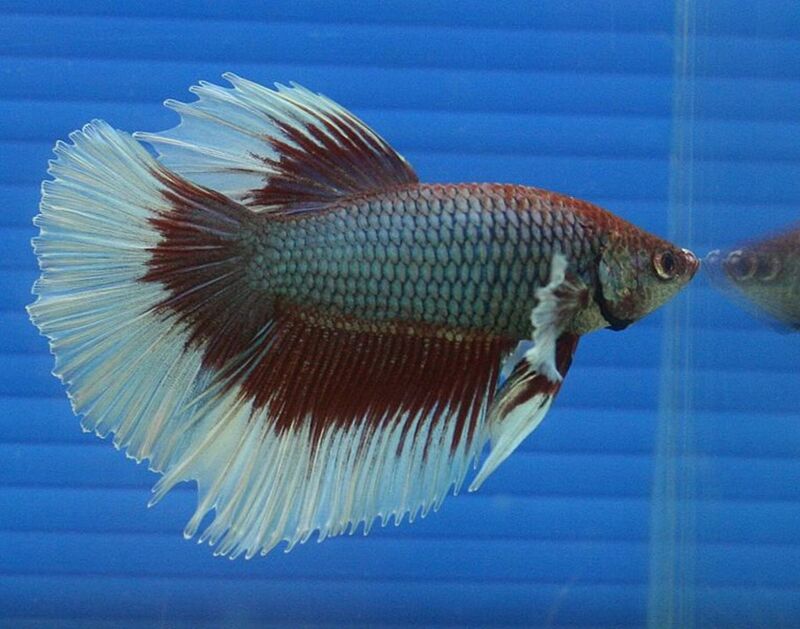 You should provide a standard Betta pellet or flake food as the basis of his diet. You may consider alternating several brands to ensure he is getting an array of nutrients. Any other foods should be offered only occasionally as a treat. Some Betta owners like to provide foods like bloodworms or brine shrimp, but care must be taken not to overfeed with such items. Overfeeding can result in an unhealthy fish, and some maladies are incurable and will result in death. Remember your Betta is a small fish, and feed appropriately. Don't give him more than he will consume, and if large amounts are left uneaten in the bottom of the tank remove it. Some fish keepers put their fish on a feed/fast schedule. This means you choose one day or more per week when you do not feed your fish. It reduces the risk of any overfeeding issues, and keeps your fish healthy. Fasting your fish for a day is not a cruel tactic. It's very difficult to starve a fish, and there is much greater risks of disease associated with overfeeding than there is with fasting. Kind of like with people! Digital Thermometer:You need to monitor the temperature in your Betta's tank to make sure it stays between 75 and 80 degrees. A digital thermometer takes up little tank space and is very easy to read. Magnetic Algae Scrubber: A magnetic algae scrubber lets you clean the algae from the sides of your Betta's tank without getting your hands wet. A while back I discovered the Mag-float, and I've become a big fan. If you drop it while cleaning the aquarium glass (which I do), it floats! I've used them on big tanks and small. They work well, and they're not too pricey. For more info on how to keep your tank algae-free check out this article. Water Conditioner: Depending on your water source, you may or may not need to add water conditioner to your Betta's tank. I suggest adding as few chemicals as possible, but sometimes it is necessary to use water conditioner to remove elements that may be harmful for your fish. Safe Container: Ideally, you never want to net your Betta. In fact, ideally you should never remove him from his tank. But in cases where you must it is best to scoop him out in a large cup where he will be safe until he can return. Choose a cup that will only be used for Betta, and don't forget to cover it. Reference Materials: While the internet provides a wealth of information, sometimes it can all be a bit confusing. Having a reference book handy can help you sort out care issues and better understand why your Betta does the things he does. Caring for a Betta fish need not be hard, and assembling a list of supplies and accessories is the first step to building a healthy home for your pet. 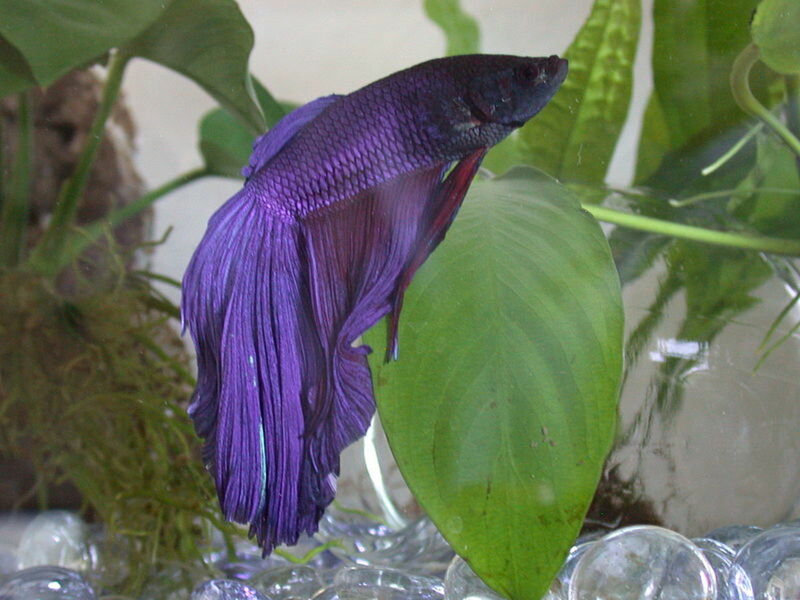 Due to the commercial exploitation of Betta fish, it is far too easy to fall into the common practice of keeping him in a bowl or plant vase. Now that you've read this, of course you realize what a tragedy that would be. It would't be good for Betta, and it will make you job as caretaker much harder. It easier just to do it the right way. Good luck with your Betta fish! What do you think is the most important aspect of your Betta tank setup? 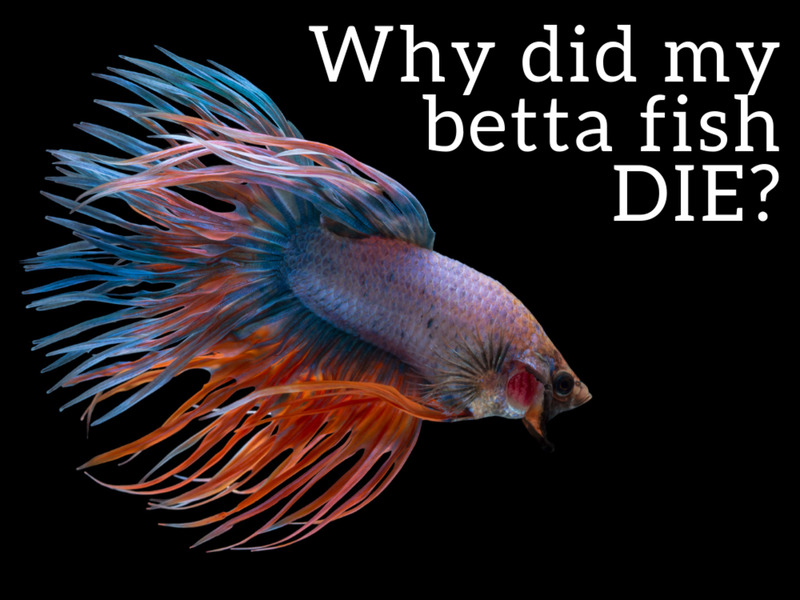 How much should you feed a betta fish? Feed your betta once per day, and only as much as your betta will eat in a couple of minutes. This usually means a very small pinch of flakes, or two to three pellets. Pay attention to how much your betta is eating. If the food you are giving seems like too much, cut back. Choose a good-quality flake food or pellet as the staple of his diet. Better yet, find a few quality foods and alternate them so your betta gets a wider range of nutrition. Overfeeding is one of the most common ways to make a betta fish ill. Uneaten food decays and fouls the water, and overfed bettas produce more waste. This means it is harder to keep the water clean. Too much food can also lead to physical problems for your fish. Avoid overfeeding, and you may be saving your betta from an early demise. @Lloyd - Cories should be kept in schools of 6 more more. They should get along with a betta, but you never know. I would not try it in a tank less than 10 gallons. 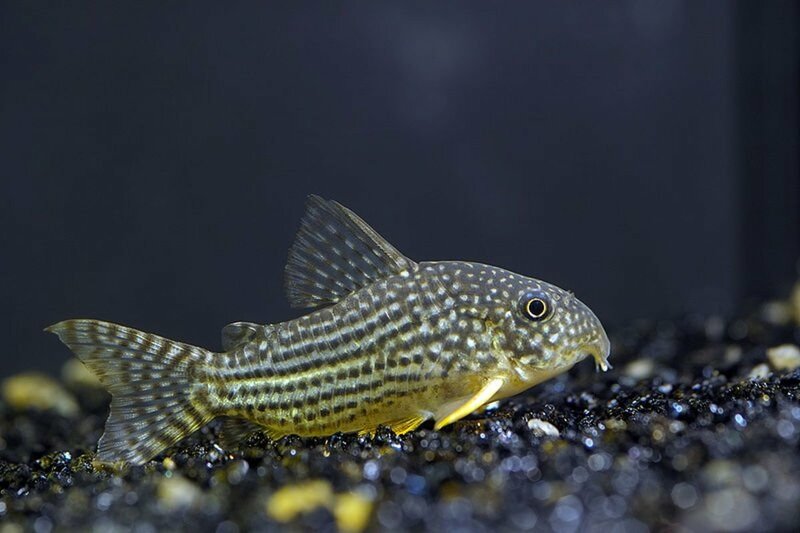 To assist with keeping minimum 10 gallon Betta tank can you put on a Cory cat? I have a 50 gallon tank... can I put any tankmates in with my betta? Thanks, Abby! Glad you find it helpful. The gravel vacs are intended specifically to clean the gravel, but they can be used to siphon water as well. You can't really clean other things like decorations with them, though. Hi Rebecca - I think you need to re-read this article as you seem to have misunderstood a lot of of what I have said. I own a Crowntail Betta named Sky, and I was wondering if was taking proper care of him, and what I should improve. He currently lives in a Betta cube glow kit with and LED light. I believe it is by the company Alive. I read the information, and it said that the water should be room temerature. I also put a few plants in the tank, because i heard betta fish feel more comfortable when they are hidden. (I forgot to mention but the cube does have a lid with feeding holes and ventalation) I put him away from direct sunlight, and i generally feed him 2-3 times a day. I feed him Bettamin fish food by the company Tetra. The tank has acrylic walls, i made sure to get him a tank with acrylic walls because I felt like it would make him more comfortable. Am I doing the right thing? Feel free to correct me on anything that is wrong. @Kasia - There is an equation that will figure this out, but a far simpler method is to use one of the many calculators available online. Just search for "aquarium volume calculator". You'll need to have the measurements for the length, width and depth of your tank (usually from the inside). Good luck! hi. i was wondering how i check how many gallons are in a tank because i bought one and it doesent say how many gallons are in it. im worried that t is too small for a betta since i want to get one. sorry if it says in he articke or in the comments but im bad at english. thanks. I am thinking about getting a betta and was researching how to take care of them and the article realy helped me with what supplies I need for the betta. I had 2 very small beta fishes, one died and the other is still alive and seems to be doing ok. I changed the bowl and put him in a aquarium with a few items to make him more at home. I have viewedd the video as to how to take better care of my beta fish. I will keep you posted as to how he is doing. Thanks for the great tips. I also have a 10G with 4 females and used to have 3 columbians with them. took these out and the girls are just as happy and beautiful as most males. @Cody: The problem with turning a filter on and off is that it tends to spit out of bunch of debris every time you turn it on. I'd either run it full time or go without and do full tank cleanings. Great spot for information! Thank you very much for taking the time to put this all together. I use a filter on and off for a few hrs every other day. Will this hurt my betta (his name is agamemnon)? I keep the current as low as possible and take it out after an hr or so. Also I think I ruined his bubble nest, I didnt know wat it was and cleaned the water. Will this make him stressed out? Hi! thanks for this helpful article, I had bettas as a child and I've recently decided to get another one, however, I want something like a couple snails to put in the tank as well. Would a ten-gallon tank be big enough? Also, What could I put in the tank, if anything, besides a couple snails? Thanks for the kind words, JNonna. Good luck with Betta! Hello Eric. Thank you for your heart for Betta's and the time to teach us. It's a huge 'time' sacrifice for you I am sure, and I so appreciate your wanting to do so for these precious creatures. tomorrow I will be setting up a 5 gal. for my Betta. I've had him know for 9 months and I want him with me forever ( even though that's impossible )...if only I was a 'Jeannie-in-a-bottle'! LOL My Betta has never enjoyed the filter in his current 2.5 gal tank. I tried, but I'm pretty sure I sensed some stress each time so I opted to do without it. And, yes, that makes for more work for me,the owner--but he is sooo worth it. He has such a personality, and I'm pretty sure no-one understands my wanting to get home to tend to him. LOL Anyway...I thank you you so much for your guidance. Hi TonyaK . You may wish to research the drip method of moving fish from one environment to another. It slowly acclimates them to the new water source and causes minimal stress. Thank you Eric. What would be the best way to introduce Martin (betta) to the heated tank? I have read to put in baggie with bowl water and let him float on top of tank water to get him to right temperature. Is that good? Also, How will I know if he is handling it ok? I certainly don't want to over stress him anymore than he is. The platy will definitely be removed as Martin takes priority. @TonyaK: Moving Betta to a bigger, better thank sounds like a great idea. But he seems stressed and will be a little more stressed at least short-term by the move. Keeping the platy in there doesn't seem wise to me if there is another option, since you've already seen the platy cause stress in other fish. I've had calm platies, and platies that for whatever reason took it upon themselves to annoy every other fish in the tank. 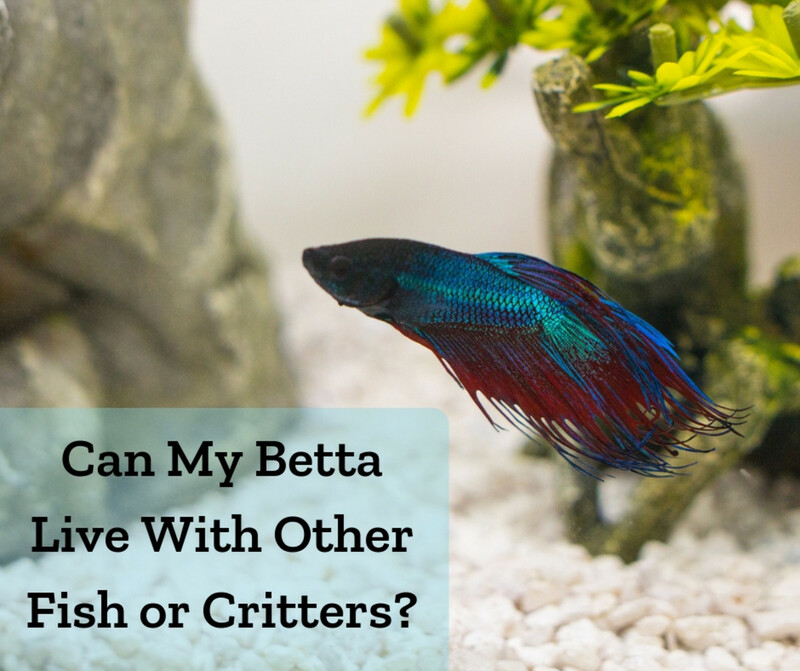 Sounds like you have a trouble maker, which isn't terrible in the right situation, but could be bad for your stressed-out Betta. We have a male betta that is a little over a year and has been in a bowl the whole time. 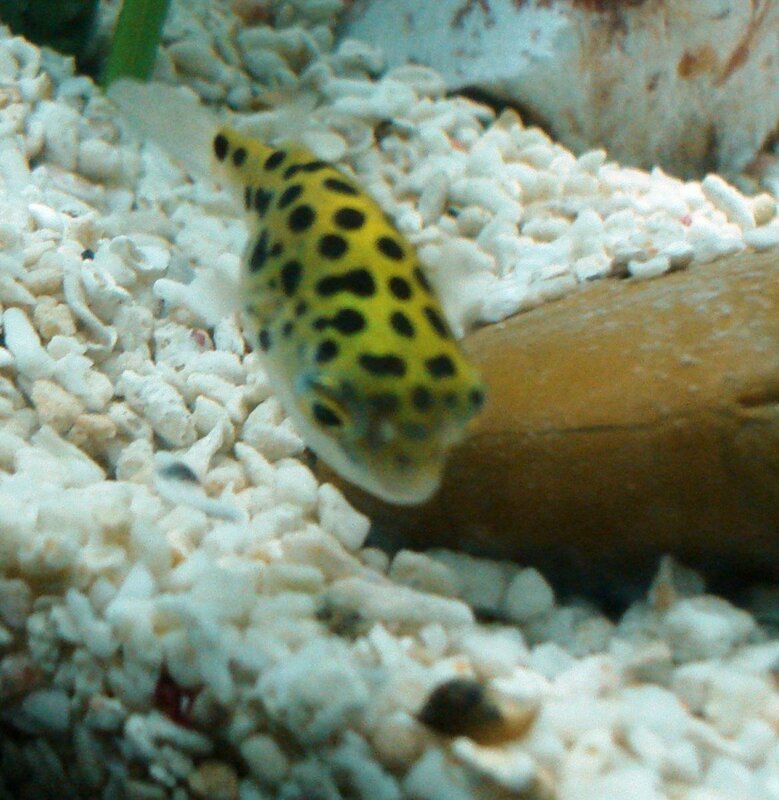 We have upgraded sizes as he grew from a little finless clear fish to a gorgeous 2 inches plus fins. Gradually over the last month his fins have started to look shabby and he has developed a thin film on the top of the water. We clean his bowl 2 times a week and always have so I am not sure what that is about. We think it could have to do with the colder tempature of the room and water. We now have a 10 gallon heated and filtered tank that has been cycled since Christmas that we want to put him in but are worried that it could shock him. What is the best way to do this? Btw there is 1 gold platy in there currently that managed to stress to death a molly, and 2 guppies. :( We are willing to move the platy out if necessary but would like to see if they can tolerate each other first. Any advice would be appreciated. I need some advice please. Do you think a aqueon quietflow 10 filter is ok for a betta in a 10 gallon tank? Hi BluEyeWard. You should not change the gravel except when absolutely necessary because there will be healthy micro-organism colonies living in there. Changing out the gravel gets rid of them and can impact the water conditions in your tank. There is no harm in changing up the decorations, or adding new ones for special times of year, as long as you don't over-crowd the tank. Good luck and have fun! Hi! Thank you for putting together this article. I'm planning on getting a betta fish (soon hopefully) and I've been researching a lot to make sure that I take good care of the betta fish when I bring him home. I have a quick question about decorations. Will it be okay to change up the décor and gravel color every once in awhile for holiday themes or when I just want to change the layout theme? 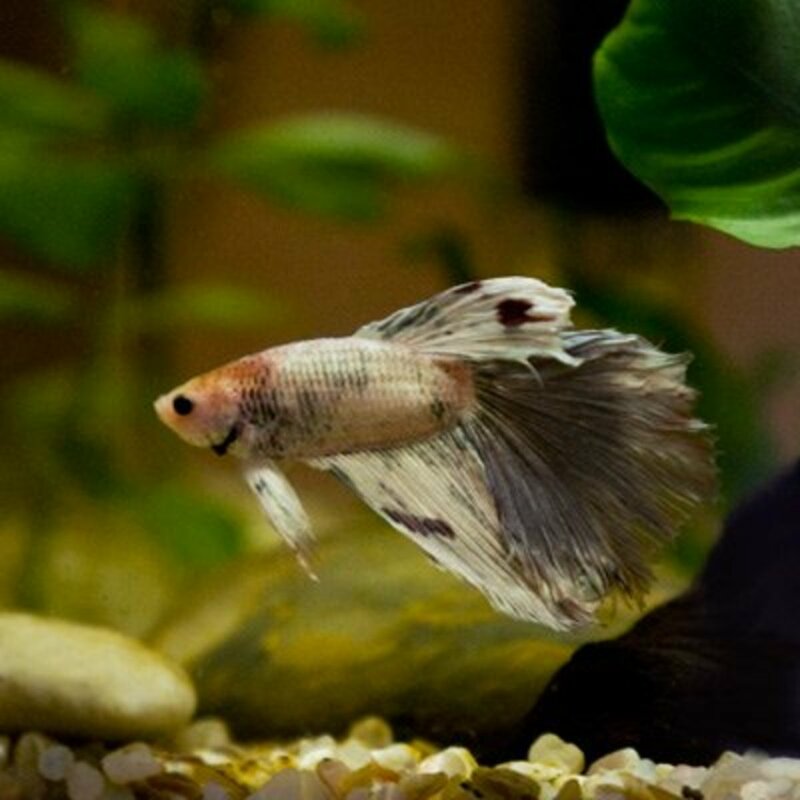 Will the change be too stressful for the betta? Eric: Thanks for the additional information. I'll have to look in the pet store for larger version. @ Sheila: Yes, that's the type of algae scrubber I use. I have the larger version for bigger tanks. It does a good job for me. I was actually a little surprised, because it does seem like it wouldn't be strong enough, but it works. You just drop the inside piece into the tank and put the outside piece against the glass and the inside piece will be attracted straight to it. When you're done scrubbing, release the outside end and the inside end floats to the top where you can grab it. Never get your hands wet. The only drawback I've found is where I can't physically reach around the back of the tank. For those small spots I have to do it the old-fashioned way with a plastic algae scraper. I had two Betta fish several month ago. The read and black one. Betta is beautiful. Thanks for the great information. I'm not yet ready to buy a Beta, but now I know what I'll need when if I get around to it. I do have a question for you about the magnetic algae scrubber. Is the one you've listed the kind you use? I've tried two different ones and neither seemed strong enough to get the algae off the glass. For now, I've given up on them and use a piece of a Scotchbrite. I'd like something easier to use without having to put most of my arm in the tank and splashing the water around.